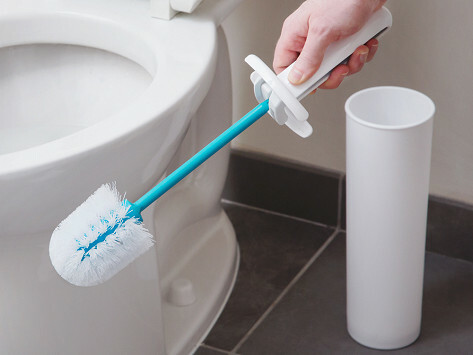 Get the dirty job done with a smarter toilet bowl brush. After cleaning duty, squeeze this brush's handle to spin the head and dry the bristles quickly, before the brush goes into its storage container. You’re left with no drippy mess, a clean toilet, and a cleaner brush. 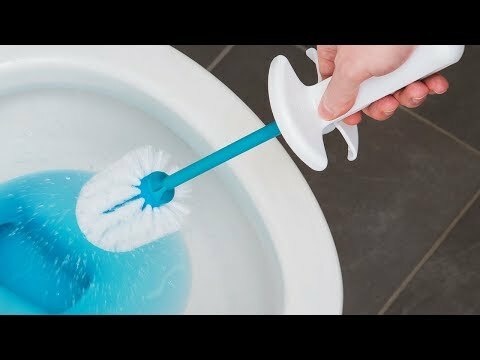 The easiest to use, most convenient toliet brush ever! I like the cylindrical design, & I like the way it spins off all the cleaning solution before storing. This product works great, spins dry and hides in a sleek cylinder! I’m repurchasing them for all of my other bathrooms. Highly recommend! Because of Spin-Dry’s quick-drying spin action, there won’t be a murky mystery puddle at the bottom of the container anymore—making the brush cleaner for you to handle, and the bathroom all around more sanitary.